The California Supreme Court ruled unanimously that police can not hide tracking of license plate data and must release to the public the plate data they are collecting. According to the ruling, the state law does not generally exempt license plate data from public disclosure. For many years, U.S. police departments have been using Automatic License Plate Readers (ALPR) with sophisticated surveillance cameras capable of automatically reading every visible license plate on all passing cars. The license plate readers are important in helping locate stolen vehicles and tracking getaway cars of suspected criminals, but it can do more than that. Automatic License Plate Readers, or ALPRs, coupled with algorithms that can analyze these huge collections of data, enable police departments to hone in on hideouts of criminals by following their travel patterns and their associations with others over time. For example, when an officer tells a computer to track a specific license plate, the computer will track OTHER license plates that pop up NEAR this main license plate number. If the nearby license plates show up more than once, the computer will alert the officer that this second license plate may be a “friend” of the main license plate. This powerful surveillance capability has caused concern from ordinary citizens. Police departments store this license plate and the location data for long periods. The tracking and storing of this information, without specific warrant approval from judges, could be a violation of the privacy of citizens. Organizations which requested data collected by ALPRs are the Electronic Frontier Foundation, the American Civil Liberties Union, and several news organizations. These organizations aim to raise awareness on how much information the police have collected on innocent civilians. While some authorities cooperated and shared these records, others balked at the request, such as the Los Angeles Police Department and the LA Sheriffs Department. One of the police departments that shared their collected data was the Oakland Police Department. The L.A. Police and Sheriff departments initially won legal challenges at state trial and the appellate courts, wherein courts found that the data was protected by exemptions for police investigations inclusive to the California Public Records Act. However, the California Supreme Court now ruled that lower courts interpreted the exemption too broadly. While the state high court ruled out the exemption, it still denied — for now — that organizations can access the raw data of the license plates. According to the California Supreme Court, the license plate data can only be accessed if the organizations work out with the trial court about how they can anonymize license plate information to avoid jeopardizing the privacy of citizens. There are surely many police departments and authorities that will not be happy with the Supreme Court’s ruling. 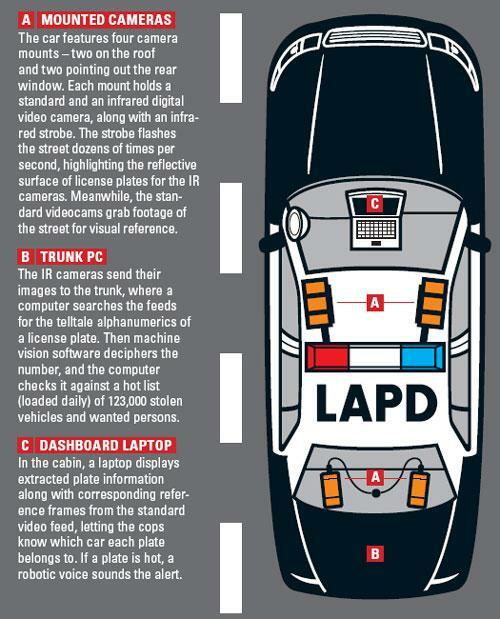 According to California authorities which disagree with the California Supreme Court, their decision would make the ALPRs “virtually useless.” However, refusing public disclosure would harm the public’s right to know how authorities are doing their job, and it could hurt the ability for some to defend themselves in the situation when evidence from license plate readers was used to in their prosecution.